J&S Machine carries a full line of YLM CNC bending machines capable of covering the many needs of the bending industry. Industries served are: automotive, furniture, appliance, exercise equipment, machine frames, carts, architecture, aircraft, HVAC, and job shop products. The YLM product line has a wide variety of machines and configurations to choose from allowing us to provide a machine that fits both your bending requirements and budget. Starting with the smallest member of the line is a CNC 08 – 5/16” capacity machine. The largest of product line is the CNC 150 – 6” stainless steel bending machine. 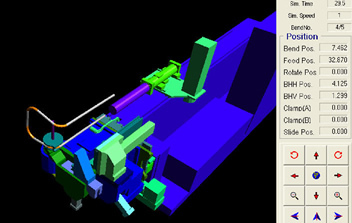 In between you will find 12 models with a variety of configurations to place the CNC machine offerings at over 50 models. The YLM CNC product line has a reputation for long lasting machine life, heavy construction, high volume production, and part to part reliability and repeatability. All machines are backed up with a 1 year warranty with extended warranties available. 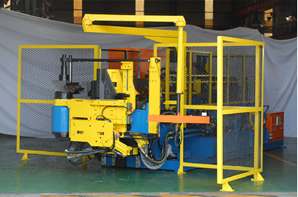 J&S Machine is the US service center and machine stocking location for YLM. J&S Machine is committed to the customers we serve with rapid responses, usually the same day. Applications submitted are thoroughly evaluated by J&S and/or YLM personnel to ensure the responses provided are accurate to make for a successful result. 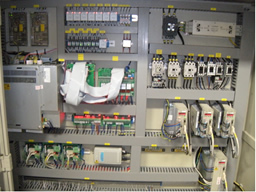 All machines include on site training, electronic and hard copy manuals, and detailed electrical / assembly drawings. The YLM benders are offered with many features and off the shelf components that are necessary for a complete package to meet your current needs and future growth requirements. The machines are assembled in Taiwan with world class components where world wide support from distributors provides additional resources to the 24/7 support J&S Machine and YLM provides. 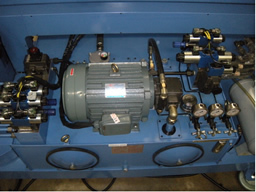 Some of the brands utilize are: Yaskawa servo motors and drives, Rexroth drive on selected models, Beckhoff I/O system on selected models, Rexroth hydraulics, Omron switches, Rexroth Bosch or HIWIN slide assemblies, and ZF gear reducers powered by a Windows embedded software based control. Integrated gearbox reducer with multi layer drive chain assembly for smooth controlled operational start / stop movement of bend arm extending the chain life many years beyond traditional hydraulic benders. 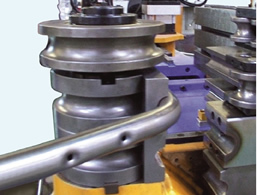 Low profile bend head design uniquely offset from center of machine frame providing clearance for complicated parts that can not be obtained on other brands of equipment. Full capacity feed through collet for working with long material that requires additional length beyond the front collet stop system reducing the need for extended models in most applications. 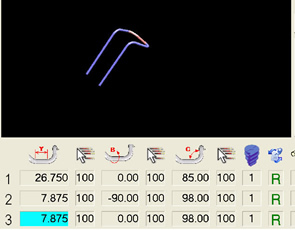 Reverse program function, automatic step feed calculation, tube recapture function, and variable sequence operation program for working quickly and easily with a variety of common difficulties encountered in tube bending operations and applications. On 5A and above models – programmable bending head alignment to carriage for working with compound tooling, specialty tooling designs or adapting tooling from other models with the usage of adapter plates simplifying tooling design or reducing cost of purchasing additional tooling. Safety package which includes scanner, interlock safety relays, phase fault detection, machine enclosure guarding, collet closure mat, and hand activated cycle start system.